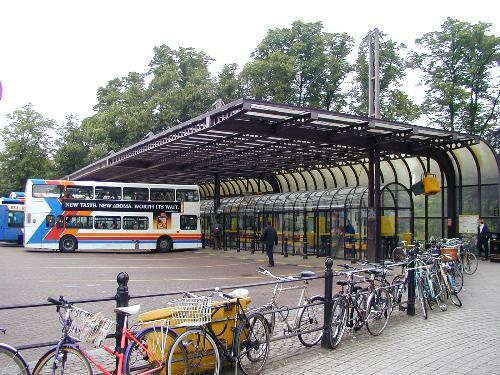 The main Cambridge coach (bus) station, unlike the train station, is in the centre of the city. Before this structure was put up there was some debate about whether the trees in the background would have to be removed to accommodate a bigger station (which currently spills out onto neighbouring streets), but fortunately that never happened. 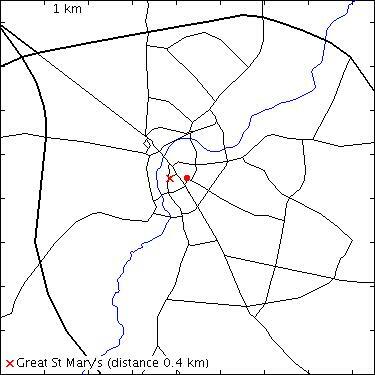 There is still some debate about whether the station should be located where it is, and although private cars (but not taxis) have been forbidden from the area it is one of the most polluted places in Cambridge.